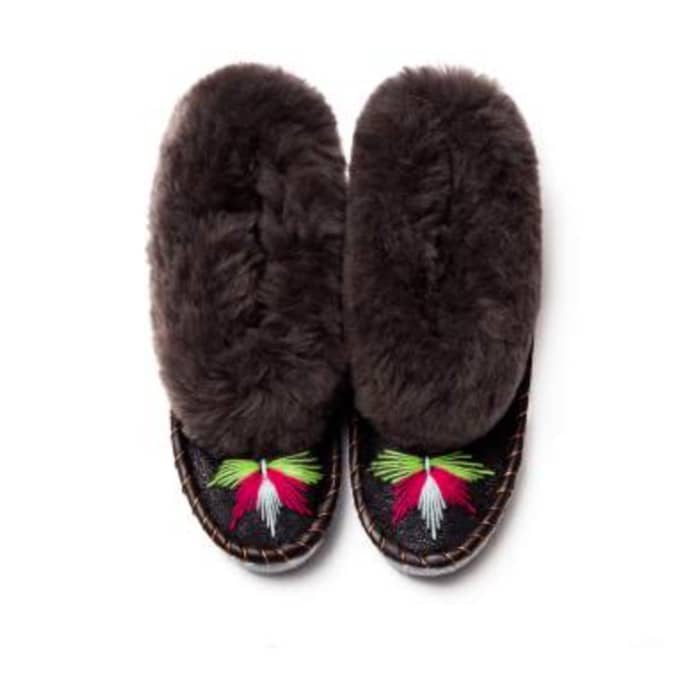 The traditional handmade slippers are made from 100% natural sheepskin and display a soft woollen interior and fluffy sheepskin fur cuff. Note to customers: Each pair has the European size written in biro on the sole of the slipper. Coffee & Cloth in Shrewsbury, United Kingdom.